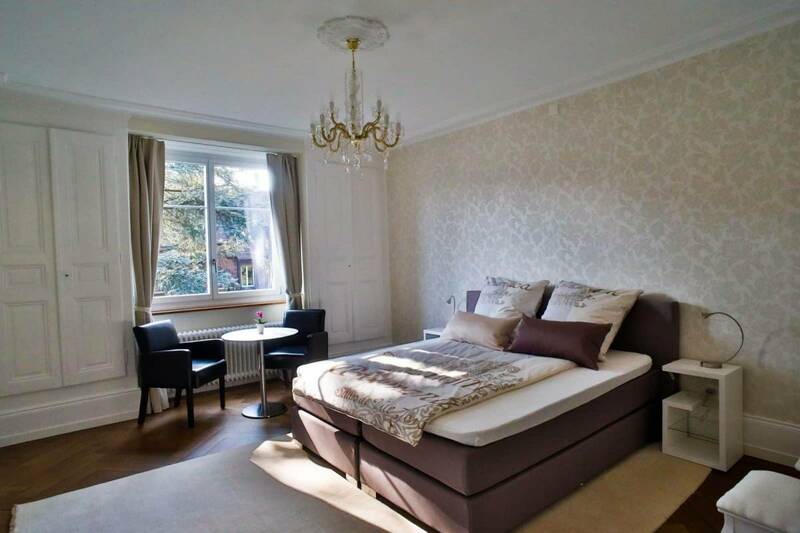 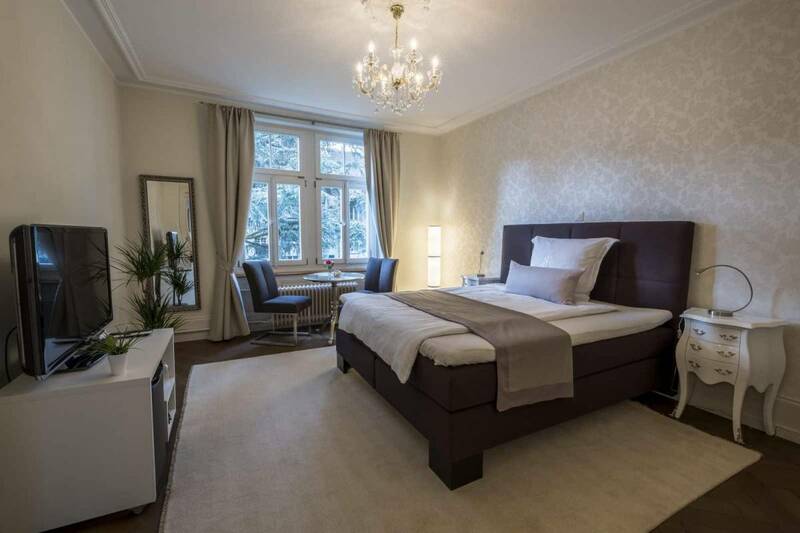 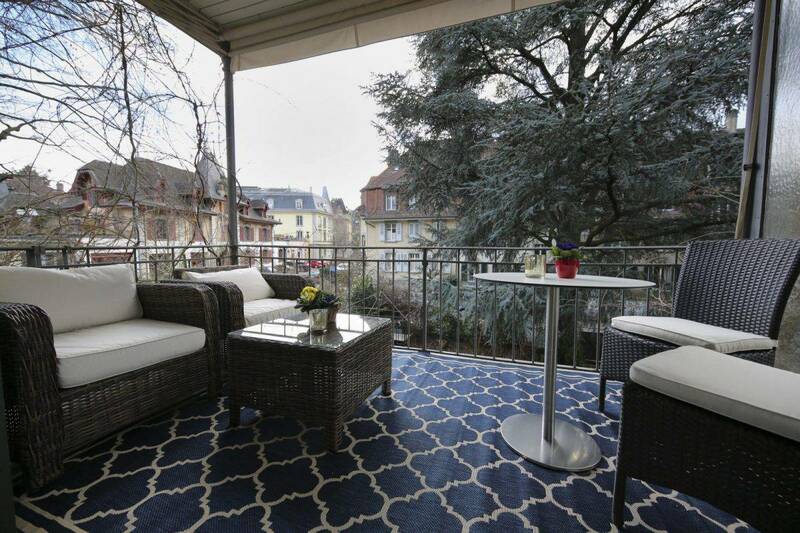 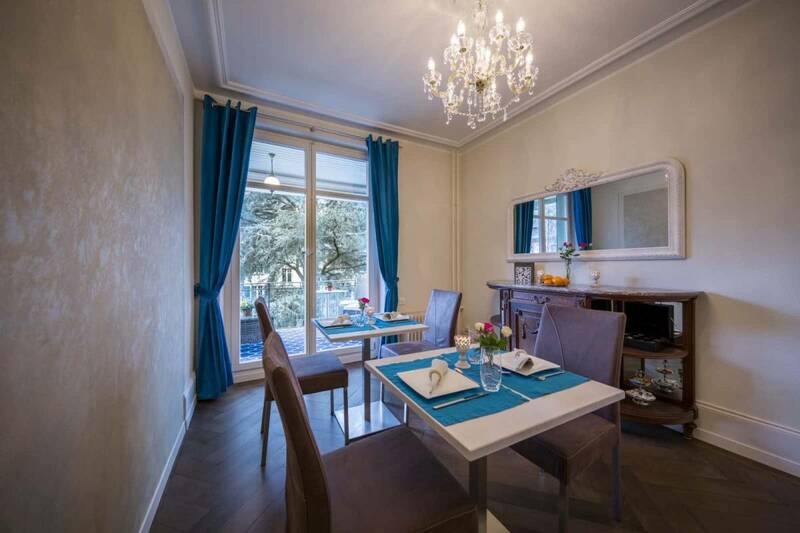 A large room of 20 m² with a Boxspring bed 1.80m x 2.00m, Flatscreen TV, Internet WLAN, Minibar, safe. 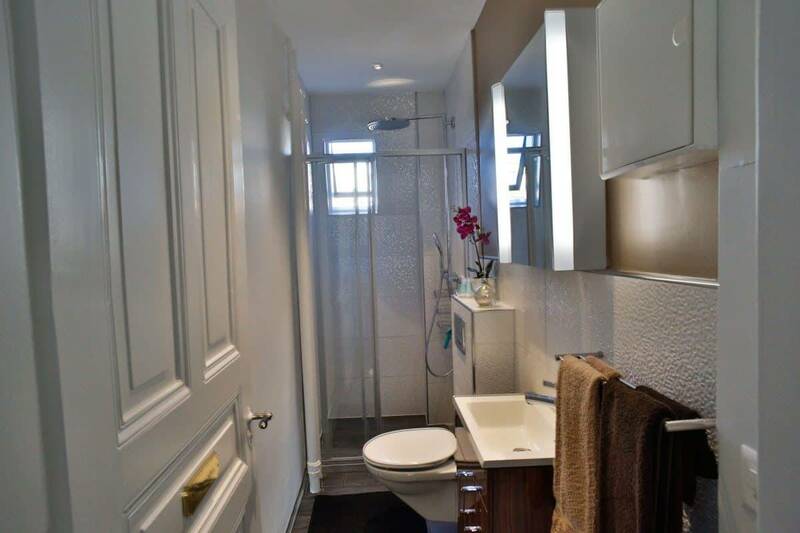 For exclusive use: bathroom with rain shower / toilet / lavabo, hair dryer. 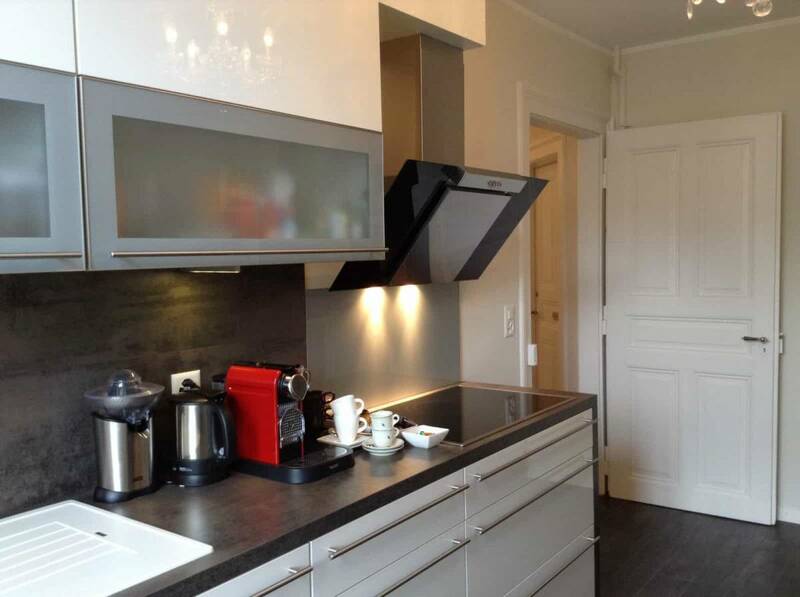 Fully equipped kitchen, lounge with large balcony are for shared use.